This page lists the latest Geoservice news, changes and status of services and datasets. These announcements are also available as a RSS news feed. 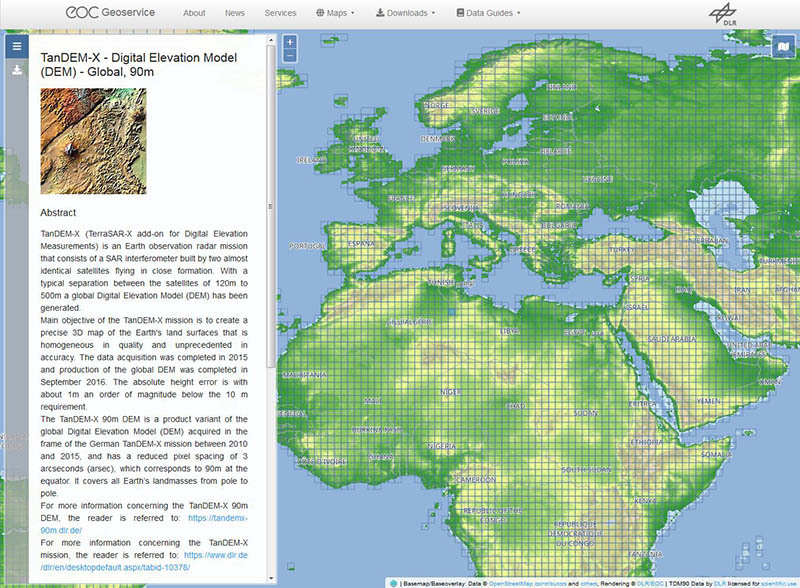 Concurrent with the publication of the TanDEM-X 90m digital elevation model (DEM), the new EOC Download Service has been introduced. Using the new service, raster data provided by the EOC Geoservice can be downloaded with just a few mouse clicks through an easy-to-use webinterface. 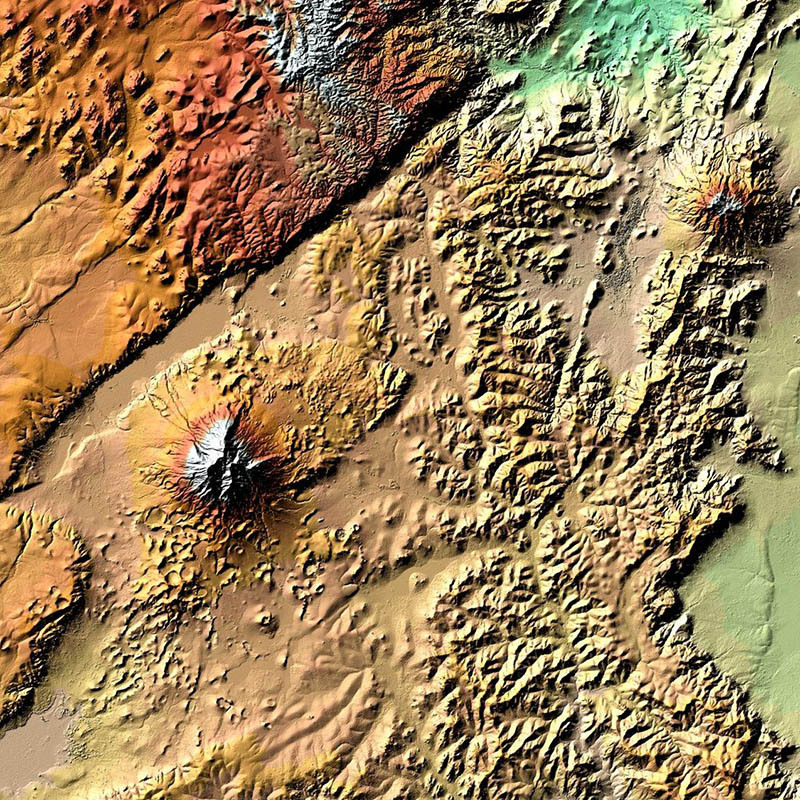 Besides the TanDEM-X 90m DEM , also SRTM X-SAR elevation data  are made available with the initial release of the new service. Further datasets will follow. On 28 September 2018, DLR has released the global elevation model of the TanDEM-X mission in 90 meter resolution to the public. After registration, the data set can be downloaded free of charge from DLR EOC's new download service . 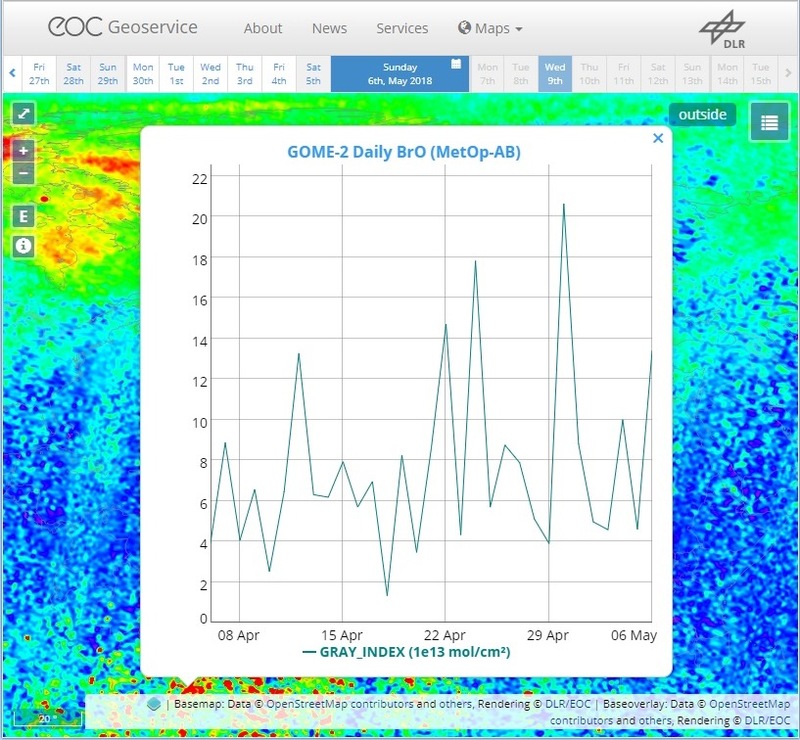 In addition, the eight original TanDEM-X information layers are provided via OGC web services [2, 3] and can be visualized in the EOC Geoservice Webapp . The TROPOMI instrument is a space-borne, nadir-viewing, imaging spectrometer covering wavelength bands between the ultraviolet and the shortwave infra-red. TROPOMI is the single payload of the SENTINEL-5P spacecraft, the purpose of which is to measure atmospheric properties and constituents. 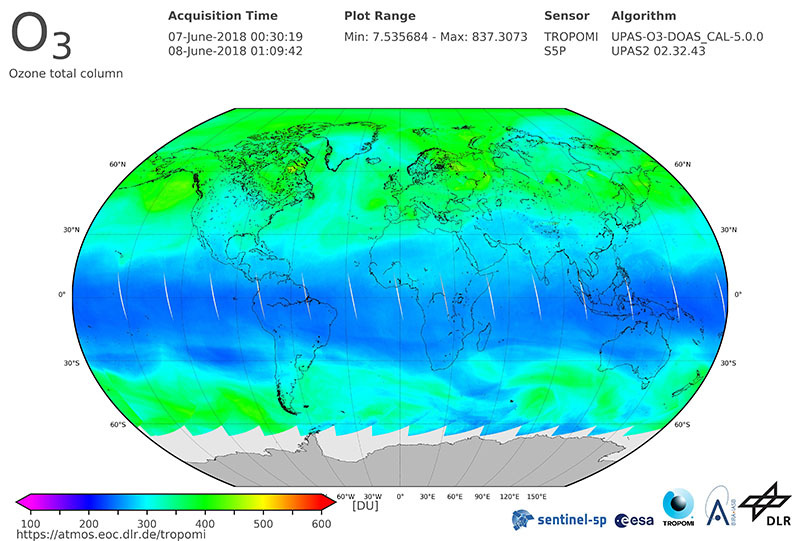 The instrument uses passive remote sensing techniques to attain its objective by measuring at the Top Of Atmosphere (TOA) the solar radiation reflected by and radiated from the earth. TROPOMI can measure a range of atmospheric trace constituents, as well as cloud properties. These data are crucial for monitoring the atmospheric composition and the detection of pollutants. The German Aerospace Center (DLR) is responsible for the payload ground segment of the Sentinel-5P mission and together with the Royal Netherlands Meteorological Institute (KNMI) also engaged in the processing and analysis of the satellite data. The TROPOMI measurement data go through a highly complex processing chain: The raw measurements are received by the ground stations and transmitted to DLR. There they are analyzed, filtered, processed into individual data products and automatically made available on a web server. The processing system was developed by the Remote Sensing Technology Institute (IMF) of DLR and KNMI. DLR operates the processors and ensures that the partly interlinked work steps are running smoothly. The EOC Geoservice now supports requesting timeseries for all temporal enabled layers via the GeoServer ncWMS extension , . Additionally, the map pages now include basic support for the GeoTimeSeries operation and plotting of interactive timeseries graphs. It can be activated by double-clicking on the map. This will request a graph representing the latest 30 days for daily layers and latest 12 months for monthly layers. Together with the already supported animation capabilities of GeoServer , users now have more advanced possibilities to visualise temporal datasets . D-SDA has been archiving data of the Advanced Very High Resolution Radiometer (AVHRR) on board of the National Oceanic and Atmospheric Administration (NOAA) fleet of Polar Operational Environmental Satellites (POES) since 1983. For three decades DLR has been generating and archiving regional coverages of daily AVHRR level 3 products such as vegetation index, sea surface temperature and land surface temperature. D-SDA is now making available a subset of its AVHRR level 3 data archive via geospatial web services provided by the EOC Geoservice. 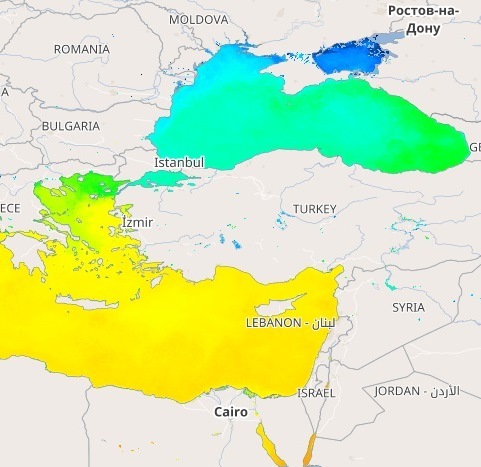 "AVHRR - Monthly Mediterranean SST" is an AVHRR subset from 1993 to 2014 integrated in the EOC Geoservice to facilitate valuable time series exploitation of historic data. Additionally, integrating these data serves as a prototype for the DLR "TIMELINE" project. 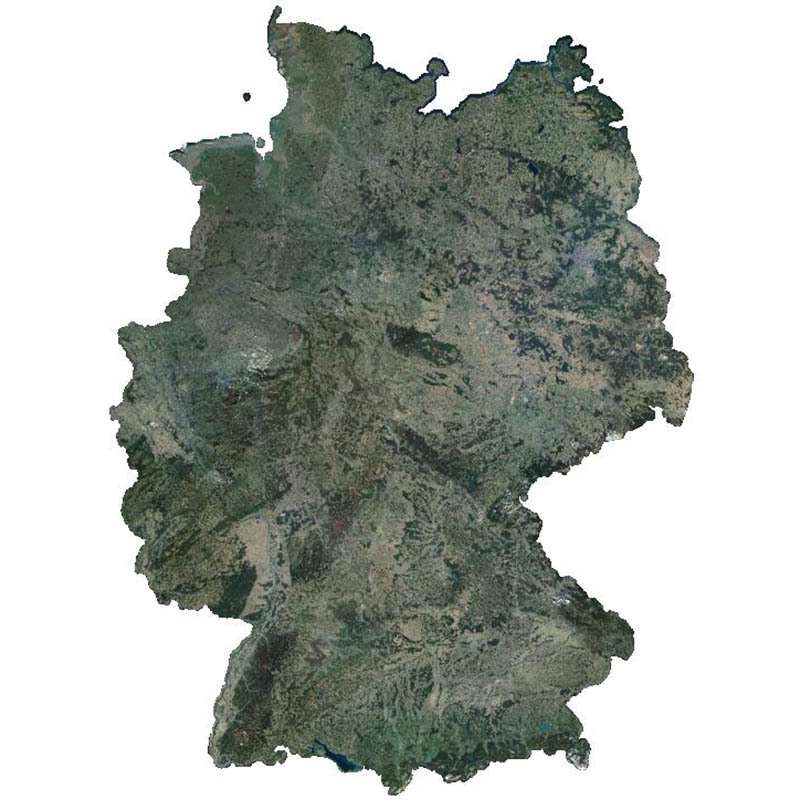 The RapidEye RESA Germany Mosaic provides a nearly cloud-free view of the country's geography, natural resources, and infrastructure. It is composed of 374,240 sqkm of multi-spectral RapidEye imagery, acquired between April and October 2015. The product is being provided in the framework of the RapidEye Science Archive (RESA) agreement. Co-funded by the German Federal Government, the fleet of RapidEye satellites were launched from the Baikonur cosmodrome in Kazakhstan in 2008. The satellites are now owned by Planet Labs, Inc. The RapidEye Earth observation system comprises five satellites equipped with high-resolution optical sensors. With a spatial resolution of 6.5 m the 5-band instruments operate in the visible and near-infrared portions of the electromagnetic spectrum. With its high repetition rate the RapidEye constellation can image each point on the Earth's at least once per day. 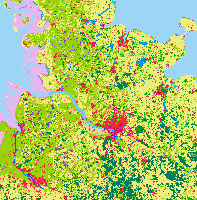 CORINE Land Cover data sets of 1990, 2000, 2006, Change 1990-2000 and Change 2000-2006 have been added to the EOC Geoservice in the form of derived raster data products. CORINE 1990, 2000 and 2006 are in three resolutions: 100 m, 250 m and 1000 m. CORINE Change 1990-2000 and 2000-2006 are available in a 100 m resolution. Last CORINE products were updated. Data access is provided through WMS service. 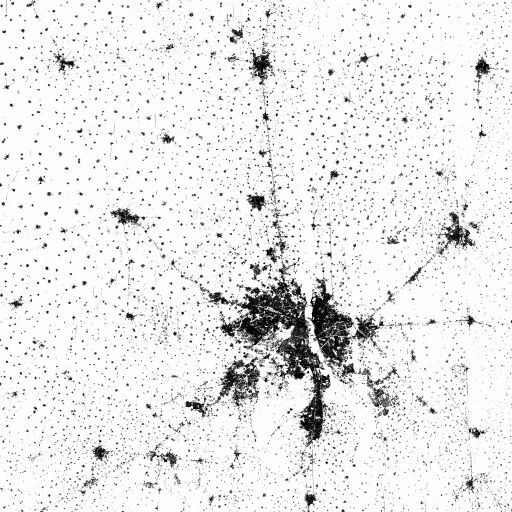 The Global Urban Footprint® (GUF®) database shows the human settlements patterns in urban and rural environments in a so far unprecedented spatial resolution of about 12m per raster cell (0.4 arcseconds). A second version of the product is available in 2.8 arcseconds raster cell resolution (about 84 m). The GUF® dataset is based on the radar (SAR) satellite imagery of the German satellites TerraSAR-X and TanDEM-X. It reflects the distribution of vertical built-up structures around the year 2012, with 93% of the satellite images recorded in 2011 and 2012, and remaining data gaps filled in 2013 and 2014. The Global SnowPack is a set of snow cover parameters made available on a global scale. It is based on daily, medium resolution remote sensing datasets (MOD10A1 and MYD10A1) provided by the National Snow and Ice Data Center (NSIDC). 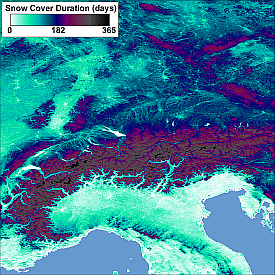 The data was reprocessed to clear data gaps caused by clouds and polar darkness and now informs about snow cover duration as well as early and late season snow cover duration for each hydrological year (September 1st of a calendar year to August 31st of the subsequent year) since 2000. 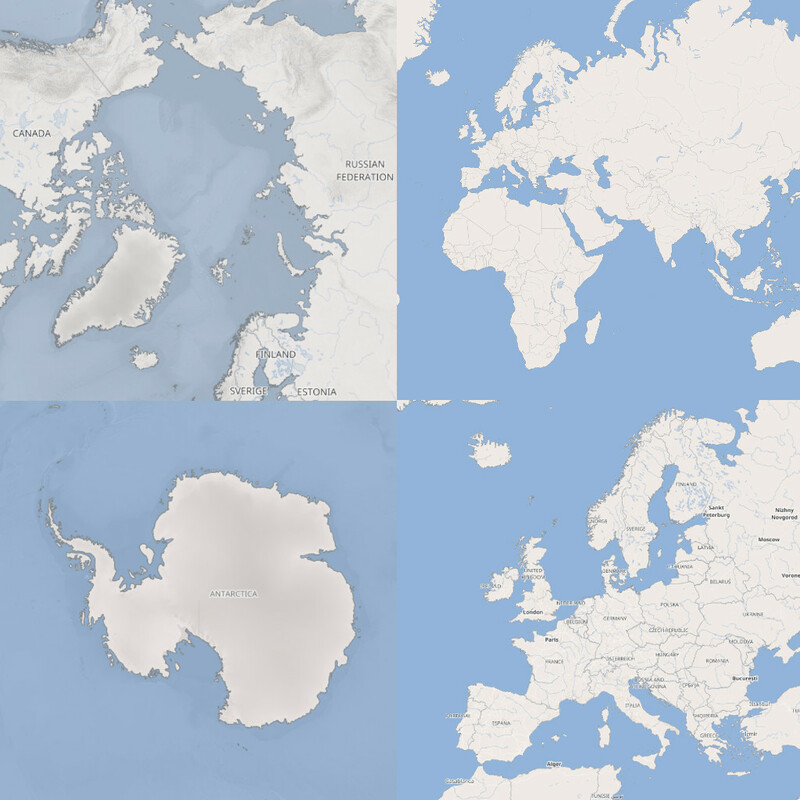 The EOC Tilecache now supports additional projections through the WMTS interface: ETRS89 / LAEA Europe (EPSG:3035), WGS 84 / Pseudo-Mercator (EPSG:3857), WGS 84 / Antarctic Polar Stereographic (EPSG:3031), WGS 84 / Arctic Polar Stereographic (EPSG:3995). See the related links and WMTS Capabilities for details.